USTA Sanctioned tournament. Adult NTRP. Men's and Women's Singles and Doubles 2.5, 3.5, 4.0, 4.5, 5.5. Boys and Girls 10's - 18's Satellite Singles and Doubles. 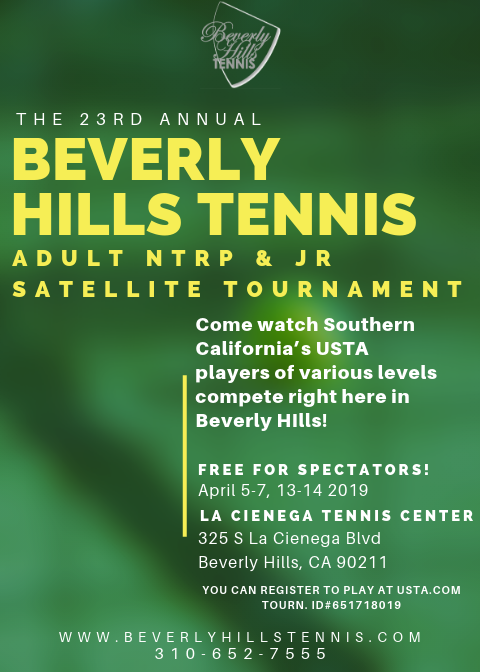 Open and USTA Sanctioned tournament. Boys and Girls 10's - 18's Singles and Doubles. USTA Sanctioned tournament. Adult NTRP. Men's and Women's Singles and Doubles 2.5, 3.5, 4.0, 4.5, 5.5. Boys and Girls 10's - 18's Satellite Singles and Doubles. Registration to come.